Ever since I was in middle school, I’ve been hearing people talk about what colleges they want to go to. What colleges were the best at certain things, what colleges had the best and the most exciting sport programs to watch, what colleges had the best people, faculty, activities, parties, etc. I had never given a thought about college until senior year in high school rolled around. I found myself filling out countless applications for big state universities around the country from Cal Poly San Luis Obispo all the way to University of Georgia. On top of that I also put my name out for athletics for football and snowboarding, hoping to perhaps play in college. Filling out college applications may be stressful and very difficult, but in the end it’s worth it. Also, the more college applications you fill out the better the chance you’ll find a school that is right for you. I filled out college applications and put my name out to college athletics recruiters starting in mid-November. February rolled around and I had yet to receive a reply from any school regarding sports or, for that matter, college in general. Late one night as I came back from wrestling practice my cell phone rang. It was the recruiting coach from Hamline University in St. Paul, Minnesota wanting to recruit me into the football program. Of course I took up on that offer which started a really long journey to get to where I am now. I did eventually receive confirmations of college acceptances from other schools in March – sometimes it takes a while for college applications to be processed because of so many people applying. If you don’t receive one immediately do not freak out and stay calm. They will eventually get to you. Life as a Hamline University Piper fall athlete started earlier then for other freshman. We reported to football camp in mid-August, two weeks before classes started. Before day one, I knew nobody here. I was nervous and shy around the other players. That’s when you should take advantage of this awkward feeling because there are many other freshmen around you feeling the same way. Day one of camp consisted of ice breakers, where we spent our first day as a Piper getting to know each other, where we came from and our backgrounds. By the end of the day you got to know at least 10-20 people pretty well. Football camp was difficult: working out and attending meetings from 8am-10pm, with pockets of breaks for lunch, dinner and relaxation throughout the day. Through the work of camps and meetings you got to quickly befriend many more players on the team. 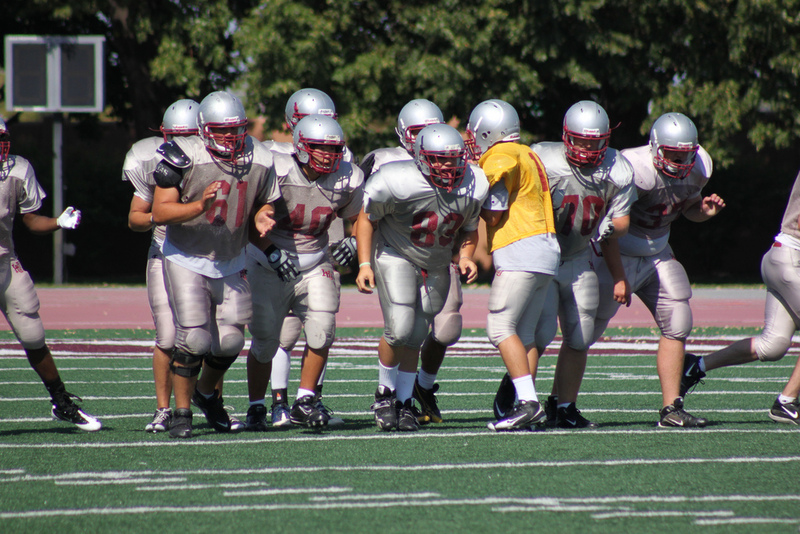 By the end of the second week, we not only felt ready for the season but all 80 members of the team knew each other. September rolled around and now students started moving into the dorms to get ready for classes. Football and soccer players spent moving day morning helping new freshmen move into the dorms. Just helping is a good way to get to know people. Many of them looked nervous, leaving home for the first time. I want to tell you it is ok to feel nervous. I went through it when I moved in as well. Homesickness is inevitable. Some will cope with homesickness better than others. The number one cure for homesickness is to talk to someone. Don’t hold it in or you will feel even worse. Talk to someone and they will help you feel better. Everyone living on your dorm floor will eventually become your closest friends (along with your teammates for those in athletic programs). Your residential advisor will always be there for you if you ever need anything: it is his or her job to help you cope with life away from home. In order to help people get set for college, Hamline University holds 26 different classes known as a First Year Seminars (commonly known here as “FYSem”). Each FYSem had different topics from simple things like music, art, history, science, to more heated debates such as Communism vs. Socialism, and Pakistan and Israel conflicts. In each class we are taught about the topic and also receive important information about college life. The first three days before school included freshmen orientation. After moving in we attended a general assembly and then broke into our FYSem groups. Each FYSem group has a New Student Mentor (NSM) – a fellow student who is assigned to help students with any academic problems they may encounter. After a short round of ice breaking games where we learned each other’s names ,and where we were from, we met our FYSem professor who also doubles as our Academic Advisor. We learned about expectations of a student at Hamline and what we would cover in our course during the semester. My FYSem group and residents on my floor became my first friends (outside of football) in Minnesota. We spent the next three days of orientation together as a group learning more about life at Hamline and how to cope with different situations. We also completed multiple community service projects as a group. If you were shy in high school, if you were too busy (or just too lazy) to participate in school activities, college is your chance to make a difference, to get involved. Getting involved in college is what will make the experience a lot more fun and memorable. With classes, football and studying, I always find a way to spend with friends and attend the many school activities held around campus. Hamline is a very diverse and active community. By diverse, we have people at this campus not just from Minnesota, not just from the America, but from all over the world. I have friends here who are from Africa and England. They are always proud to share with anyone their experiences about growing up in a faraway place, and then coming here to get an education. Through football I was able to give back to my new community in Minnesota. Through the regular season our football games we had kids come to the games and meet some of the players, and now during the off-season we are now getting more active. This holiday season, we spent days with kids from elementary schools telling them the importance of staying drug free and getting exercise, we spoke at their schools and we spent time with them playing different games. Our football team collects and delivers donations for those less fortunate this holiday season. 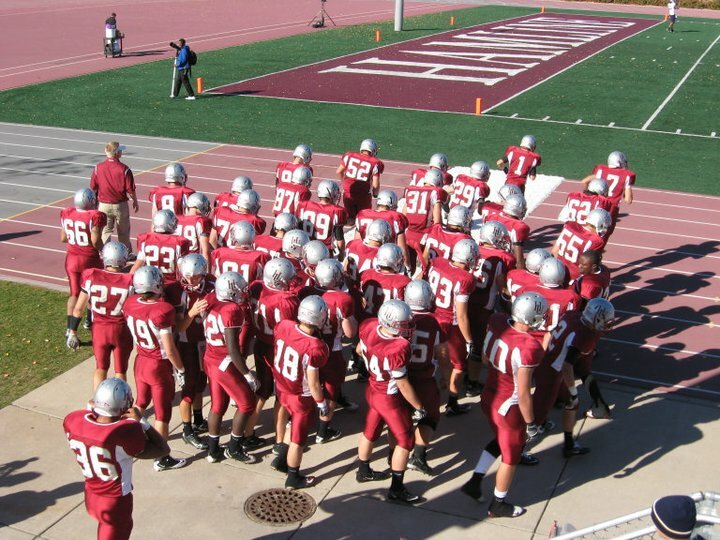 I love being here at Hamline, the people, the community, the team: it is great. Never forget, take nothing for granted. Enjoy your life at college, but at the same time do not slack off. Attend classes and do the work. On top of that get involved. The slate is clean and you have a chance to start over, become a new you. Get involved. Talk to people, make friends and don’t be shy. There will be so many people leaving home for the first time just like you so don’t be afraid to talk to them and make them feel at home. Erik wears jersey #62 on the Hamline University Football Team and is majoring in forensic science with a minor in chemistry.